I'm really excited about this blog post because I've been wanting to share with you this AMAZING find that I recently purchased from J. Cat Beauty. 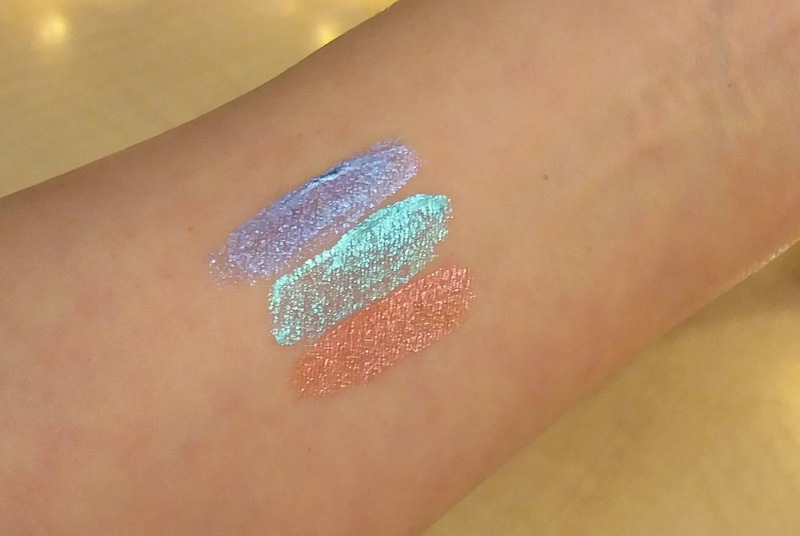 I am always intrigued by duo-chrome eye shadows with lots of dazzle, and I just so happened upon their 3D Holographic Eye Toppers. This product is a liquid that is easy to apply, dries perfectly, and DOES NOT budge! It applies very sheer, so you can build as much color and impact as you would like. Also, the color payoff is going to vary depending upon what base color you use. I applied this ON TOP of a primer AND a shadow, and it looked STUNNING! Is this a product that you would try?